Eleven boys – one of them already 6’4 at 12 years old – and six girls will be Metro Manila’s bets when the National Training Camp of the Jr. NBA/Jr. WNBA Philippines 2015 presented by Alaska happens at the PICC Forum and the Mall of Asia Music Hall on April 24, 25, and 26. One of the selected players was just on holiday from Cagayan de Oro, tried out and made it. And for the first time in the history of the Jr. NBA, a 10-year old participant has made it to the winning circle. Stacey Tibayan, 13, of San Juan de Letran; Ruzzelle Andrew Dominguez, 13, and Brevin Lyle Competente, 14, of National University; Edrian Custodio, 13, Jac Macasaet, 14, and Gab Reyes, 14, of De La Salle Zobel; Kai Sotto, 12, and Christian Allen Vergara, 10, of St. Francis of Assisi College; Vehnjo Maximo, 13, of La Salle Greenhills; Jessie Adrian Ortega, 13, of Escuela de Sophia and Ernest John Felicida, 13, of Corpus Christi College of Cagayan de Oro will join the Jr. NBA finalists from other regions in the National Training Camp. Stephanie Villapando, 13, of Trace College Laguna; Akemi Manteja, 14, and Christine Jazz Ungui, 13, of De La Salle Zobel; Nelia Jean David, 13 and Micaela Denise Pentecostes, 13, of Diliman Preparatory School; and Kyla Flores, 14, of Parañaque Science High School will be the NCR’s Jr. WNBA representatives to the National Training Camp. The seventeen finalists were the best performers among 519 participants aged 10-14 who joined the Manila Regional Selection Camp at the PICC Forum on Saturday, April 11. All participants were put through vitals tests, skills challenges and basketball drills on Day 1, with the top 40 performers being asked to return on Day 2, Sunday. The Top 40 underwent more intense drills and basketball team exercises on Day 2 and scrimmages at the end of the day helped coaches select the most skilled basketball players who also exemplified the Jr. NBA/Jr. WNBA core values of Sportsmanship, Teamwork, a positive Attitude and Respect. 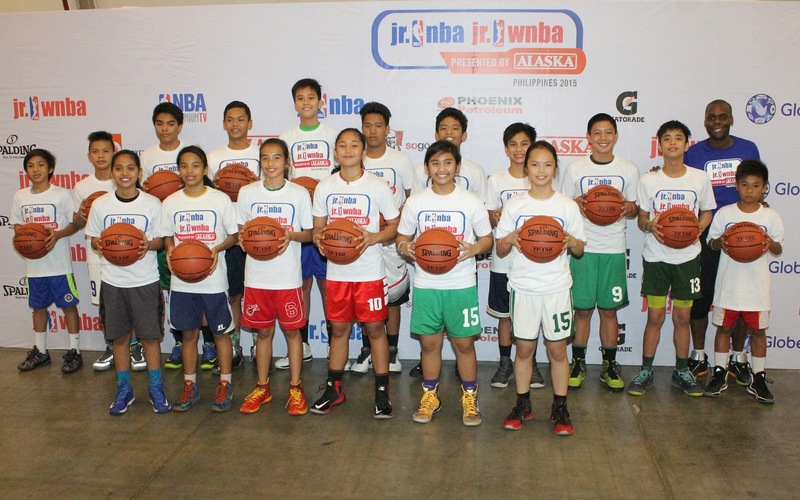 The NTC finalists from Manila were chosen by an evaluation committee led by Jr. NBA/Jr. WNBA head coach Chris Sumner and made up of coaches Rodney Santos, John Ramirez, Eric de la Cuesta, Christian Luanzon and Junjun Alas of Alaska, Louie Gonzalez and Ish Tiu and Melissa Jacob of Perlas Pilipinas. Ten year old Christian Allen Vergara – the youngest national camper ever -- was truly not daunted by the older, taller competition. “I will just practice more, drink lots of water and sleep early,” he said of his preparations for the National Training Camp. The Manila Regional Selection Camp was the final one for the NBA’s global youth development program for 2015. Now only the selected players from the Alaska Power Camp are needed to complete the cast of 50 boys and 24 girls who will participate in the NTC. At the NTC the ten Jr. NBA and five Jr. WNBA All-Stars of 2015 will be selected and will embark on a unique, overseas NBA experience together with fellow Jr. NBA All-Stars from Southeast Asia later in the year. The Coach of the Year presented by Alaska will also be announced at the National Training Camp that will be attended by NBA talents. Full program terms and conditions can be found in the Jr. NBA/Jr. WNBA event website. Fans can also follow Jr. NBA/Jr. 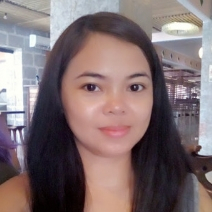 WNBA on Facebook at www.facebook.com/jrnbaphilippines. For all things NBA, fans may visit www.nba.com, and follow the NBA on Facebook (www.facebook.com/philsnba) and Twitter (www.twitter.com/nba_philippines).